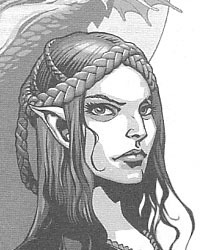 She is a ravishingly beautiful dark-haired elf woman. She speaks English, French, Spanish, Russian, and several other languages fluently. Currently operating “near to” the CZ. Member of Nadja Fixer Network.